Sebastian brings attention, dedication and curiosity to the projects he undertakes. With him as a partner you can be sure that details will be looked after. 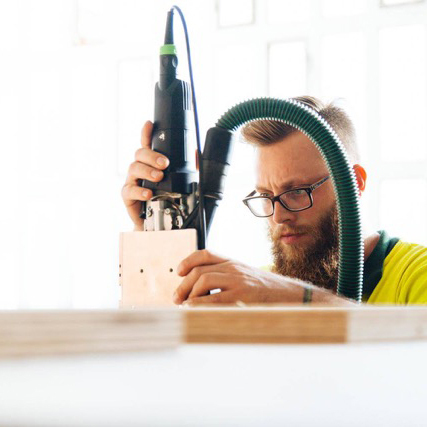 Currently studying wood, furniture, and product design in the tranquil area of “Erzgebirge” (Germany), Sebastian is driven by the idea of improving his environment trough social thinking, craftsmanship and enthusiasm. The self made carpenter gained his skills and precision trough learning- by- doing- while travelling. After living in Canada and Barcelona, with a few stops in the US, Ghana, Thailand and India in between, his Wanderlust still continues. At first he might keep some distance, but as you start to know his many names you’ll know that he will have your back for any project you undertake together. His perfect future subsistence would be to bring work and travelling in unison.